Description: An ornamental cross with straight arms terminating in broad finials decorated with imperial crowns. 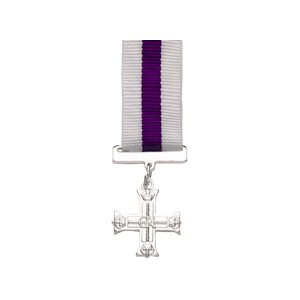 The royal cypher GRI, George VI, appears at the centre and the cross is suspended from a plain silver suspension bar. The reverse is plain.